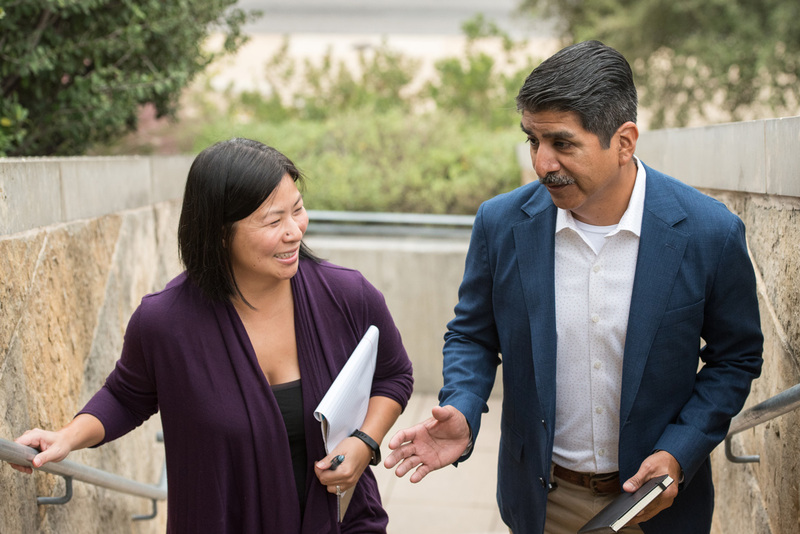 The leadership and management skills of professional local government managers are tested when confronted with an emergency or crisis situation. 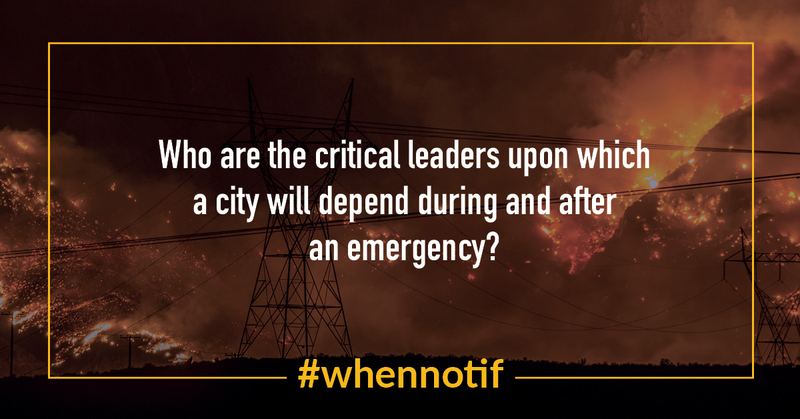 Natural disasters such as floods, hurricanes, tornadoes, and wildfires can cause severe disruptions to the local government organization and to the community for days or years. The same is true for human-created crises such as mass shootings, violent protests, and industrial accidents. 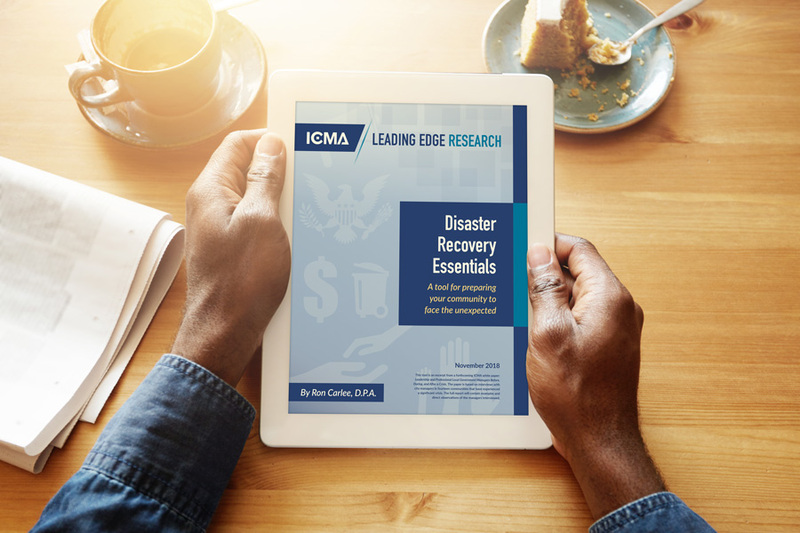 In this Leading Edge Research report, Ron Carlee, D.P.A., captures the ideas, feelings, and stories of the professional managers who were involved in different crises. 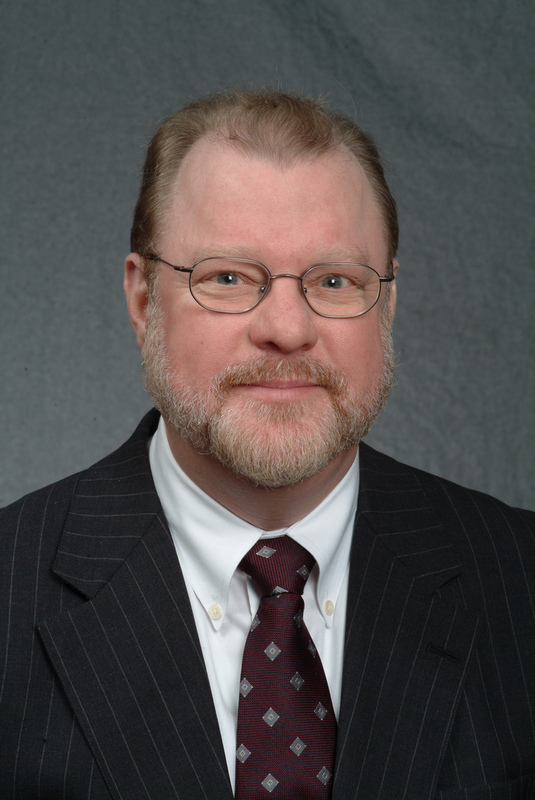 By analyzing the common and effective leadership and management skills and techniques that professional managers deploy when a crisis strikes, we can better understand the lessons learned from managers and identify leading or promising practices that can be adopted by others. 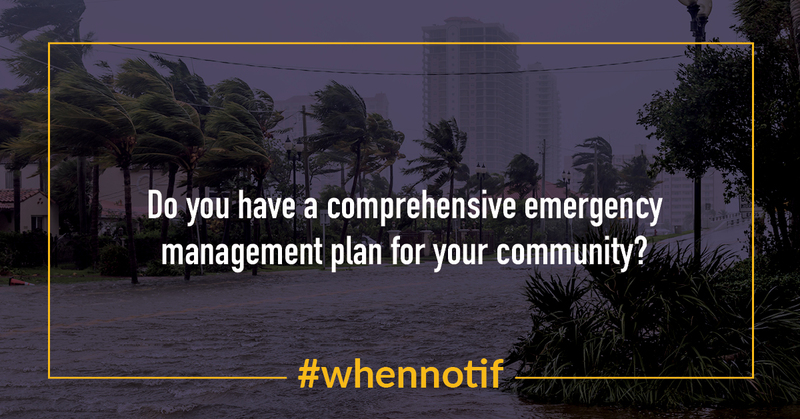 Looking for a tool to help prepare your community to face the unexpected? This practical companion piece describes important takeaways from managers’ experiences in eight recovery topics. Each includes a set of related questions to help other managers begin to assess and improve their own capacity to lead a community through recovery. 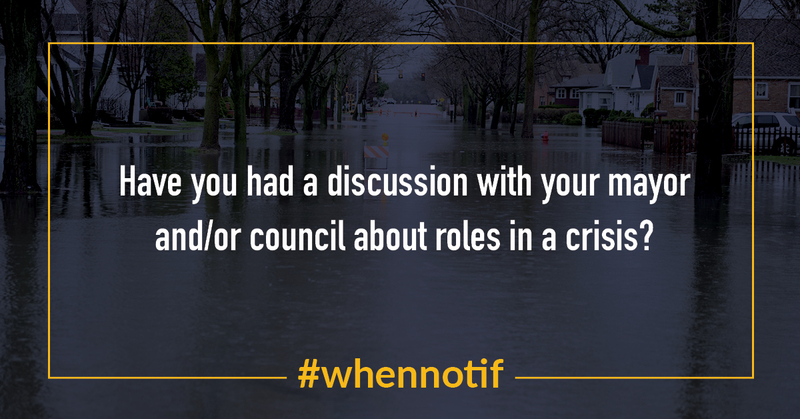 Preparing for a disaster involves asking some important questions of yourself and your staff. 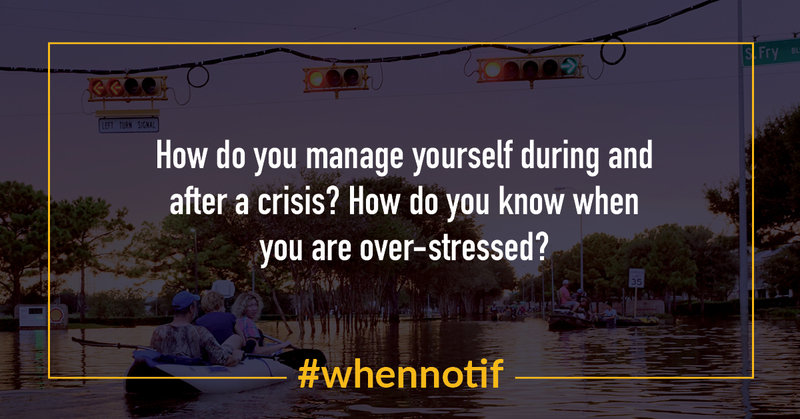 We want to know how you plan for crisis in your community! 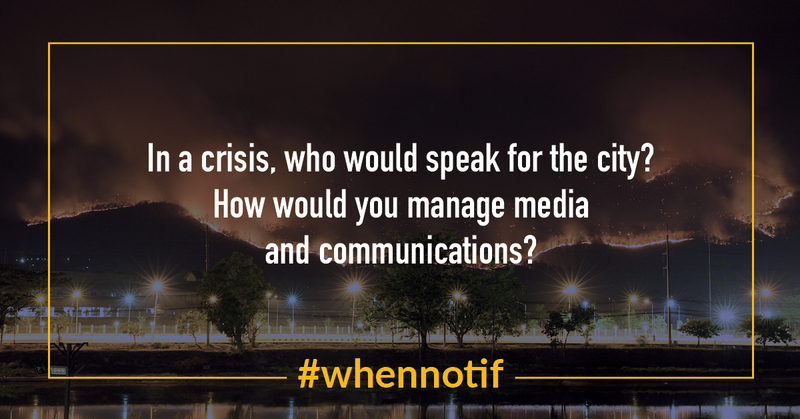 Join our #WhenNotIf campaign by sharing these images on Twitter and start a conversation around crisis leadership.